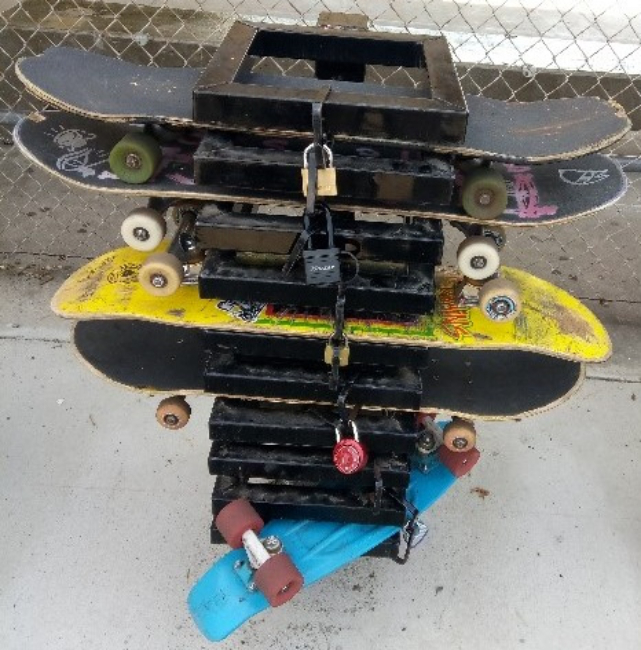 Our Single Post Skateboard/Scooter Rack can accommodate up to 9 skateboards or scooters stacked 3'high. Solid steel locking rings prevent theft and its 7″sq. steel base plate has pre-drilled holes for surface mounting.